What Have We Been Up To At PAR? There’s never a dull moment in rescue. Check out our updates below! It’s 2019 and that means we’ve got 2 full years under our belt. In those two years we’ve had over 250 cats come through our doors. Of those, 202 have found their fur-ever homes, 6 have been TNR’ed, and 2 have been reunited with their families. We couldn’t have done it without community support. We currently partner with three Petco stores - Timonium, Halethorpe, and Canton. We have over 15 regular volunteers helping care for cats in the Petco stores. And we are very Very fortunate to have close to 10 foster families! If you’d like to join us, don’t hesitate! Visit our Contact Us page to send us a note. We’re growing our relationship with Petco! Starting in early 2019 we’ll be moving our adoptable cats into the Halethorpe Petco. We’ll also be starting regular events at both the Halethorpe Petco and the new Canton Petco. Check out our events page or our Facebook page for all the latest! The driving motivation behind the founders of PAR is to help the most needy cats have their best life possible. We work hard to be able to take on the difficult cases and make an impact. In the past two years, we’ve worked with severe behavioral issues, FIV+, injured kittens, megacolon, hyperthyroid, and colony management. Our goal is to continue this commitment! We’ll continue developing relationships with shelters and rescues, increasing our foster base, and expanding our adopter education resources to make sure that every cat, even the special cases, finds a home. 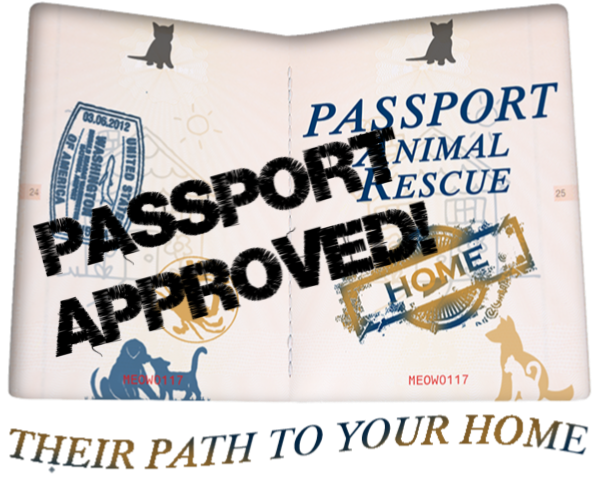 If you’d like to join us, send an email to info@passportanimalrescue.org to get started! We can’t do it without you!